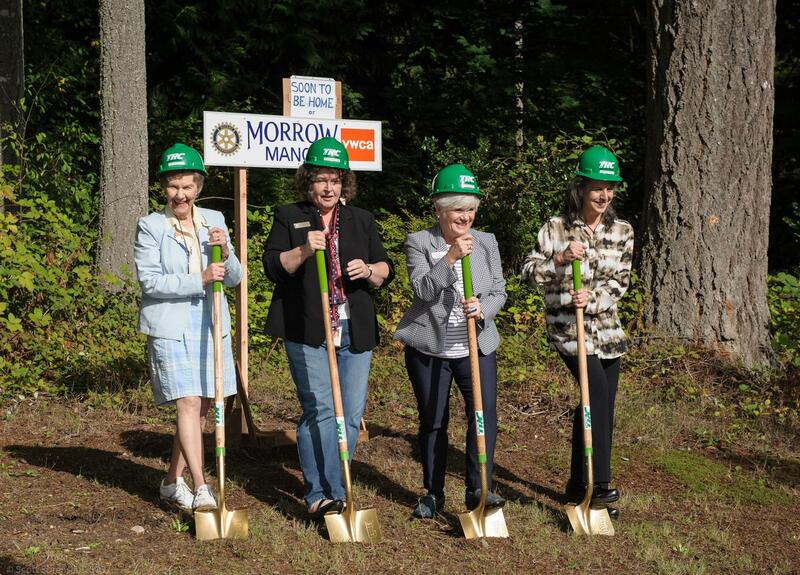 On September 9th numerous members of our club along with representatives from the YWCA of Kitsap County and City of Poulsbo met to break ground for Morrow Manor. Here are two sections from the story reported in the North Kitsap Herald. "The upcoming site preparation for Morrow Manor was celebrated Sept. 9. The work is expected to begin in October. When completed, the four townhouse duplexes — set amidst alders, cedars and firs near Noll Road and Mesford Street — will provide a safe and nurturing place for survivors of domestic violence to rebuild their lives." "Morrow Manor will be owned by the YWCA of Kitsap County. One acre of the site will be developed into a park, which will be deeded to the city. The park will feature a sculpture of Eli Creekmore, a young boy who died because of domestic violence; his life and death drive his aunt Ardis Morrow’s work to develop housing solutions for domestic violence survivors, and to ensure they are better protected by the law. Morrow Manor is named in her honor."